Organisations question whether or not they should upgrade all the time, however somewhere along the line the phrase ‘if it ain’t broke don’t fix it’ will rear its ugly head. It’s a phrase that’s heard all too often and it holds a huge hidden danger. Mainly - how do you know it’s not broken? The importance of software upgrades is something that cannot be ignored, especially when it comes to an organisations security, productivity, and profitability. The key fact about upgrades and updates is that they often fix things that aren’t obvious. For instance, think about how many windows security issues you’ve actually seen? While the system appears to be running just fine, the reality is that it could be severely compromised. For instance, Microsoft’s extended support for Windows 2003 ended nearly three years ago and it was exactly this attitude of ‘it’s running just fine leave it alone’, that caused 25% of the UK’s health system hospital Trusts to be affected and a further 600 primary care Trusts, such as GP surgeries. Some users are content with slightly outdated versions of software, particularly if the version they have gets the job done and meets their needs. But just because the software is still running, doesn’t necessarily mean it should still be in use. Another common misconception when it comes to upgrading is that applications aren’t the same as the operating system. It’s a myth which needs debunking as applications also present vulnerabilities. While it’s often the case that weaknesses tend not to lie within the application itself, it’s imperative to remember that the system utilities and libraries they use can be exposed. Frequently used sub-systems like SSL or web servers may be integrated with applications, therefore failing to carry out the necessary updates and can leave organisations at risk of running old vulnerable software. The longer a program or piece of software has been on the market, the more time hackers will have to find and exploit security vulnerabilities. It’s also important to consider that some older versions of software may have been designed before the deluge of malware started to infiltrate the threat landscape. This means that forgoing the latest versions of upgrades exposes organisations, as employees are still using older, less secure designs. This can put extra pressure on the IT department as it has to spend extra effort making sure that programs remain safe to use. While it might seem unlikely that an organisation would be subject to a malicious attack because of an outdated piece of software, it’s in fact one of the most common ways that hackers and viruses operate. 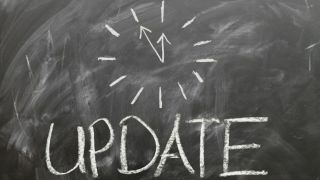 Over time, vendors tend to stop issuing updates for their older applications because most users have moved on to the latest versions. Hackers exploit this and take advantage of missed security patches and outdated software programs in order to enter systems. As well as losing out on security features, organisations also stand to miss key functionality – much of which has been designed to make life easier. It’s no secret that features are the core of any application and the newest versions often have updated and exiting features – as well as being more streamlined and often easier to use. Sticking to outdated versions could hold back the organisation from achieving outcomes such as increased efficiency as well as responding to the changing business landscape. While we all get used to dealing with the crankiness of old systems, change can be good and user interfaces have come a long way in a short time – we’ve all got used to newer and better ways to do things. Sometimes improvements don’t sound like much, but only when used for the first time does it drive home how much simpler it can be to carry out actions. The technology implemented inside an organisation can impact all areas of the business. Even in today’s predominantly cloud-based landscape, upgrading hardware and software should be of upmost concern when running effective operations. Many senior figures often view these types of upgrades as an added expense that’s not always necessary. Not only do upgrades come at a cost but it can also eat up resources, especially if employees need to learn new features. Although thinking along these lines is dangerous, an organisation is not protected if only a handful of employees know how to run an old system. The reality is that this only makes the organisation vulnerable because it isn’t utilising and learning to adapt to current technology. Not only does this make the organisation susceptible to breaches but it also decreases the value in the market because your skills are out of date. However, there are many reasons for continual upgrades to hardware and software and normally they transpire when something goes wrong. Most software has limits on how old a version can be, before an upgrade is put in place but, what if the old hardware dies, how can you recover? While older hardware and software can be more expensive to maintain than to replace, it’s good to keep in mind that if a failure occurs, it can put immense pressure on IT professionals and halt productivity. This can lead to additional pay for overtime hours or expensive repair bills and while it isn’t something that needs to be done every day – it does eat up valuable time. That’s why many prefer to engage their supplier to perform the upgrades and take a backup health check at the same time. To ensure the organisation is up to date not just with the software, but with the latest best practices and solutions. Ultimately, faster hardware and software can increase employee productivity and improve morale. Many employees see investments in newer hardware or software as a sign the organisation is committed to making their jobs easier and helping them to be successful. Investing in newer technology is a great way to demonstrate to employees that the organisation is committed to them and the productivity of the business.